Trusting an unknown identity with the reigns of your company’s website, is reason enough to do a thorough research before choosing an SEO company. Besides the company’s clientele, its rapport in the market, its age, and its workforce, there are some other things to consider as well, when you’re signing on a company for SEO services. Get the basic facts right - It would be foolish to believe that undertaking SEO services will provide your website ranking overnight. SEO is not a magic wand, which you can wave to yield the results that you desire, instantly. Any SEO company promising that would be lying through their teeth. That said, you need to choose an SEO company with whom you can work with, in the long term, to improve your website quality and work towards better rankings. A task-based service provider isn’t going to do any good. It’s important that the SEO Company you choose assists you to reach your goals faster, for instance increased visits, sales, etc. SEO isn’t a one-time, but an ongoing process, and if you’re expecting quick results, you’re sadly mistaken. Frequency of communication – Communicating is a major part of a successful SEO campaign, which you’ll eventually discover. Communication will not only ensure that your ideas and thoughts related to your website’s functioning is heard, but also instill transparency and trust into the process. Timely update on the progress of the project, the activities being performed on your website, expert suggestions, analytics reports, etc. is very important. There should be clear communication of ideas and activities between the client and the SEO company, for an SEO project to be successfully executed. Project plan – How does the company plan to work on your website, to yield the desired results or reach the expected goals? As a website owner, you should have no ambiguity about this. What are the problem areas in your website at present? What sort of changes need to be made on your website and why? How many backlinks will the company be able to generate, and in what way? Will they optimize your business for local searches? How frequently will content be posted on your website’s blog? Do they have a plan for optimizing your website for social media platforms as well? 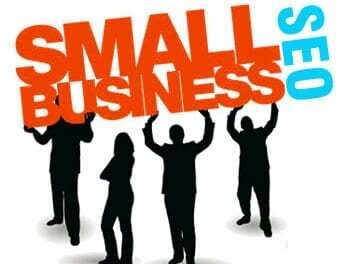 For all this and more, the SEO company you choose, must be able to provide you with a project plan blueprint. These are three important factors to consider when signing on an SEO company, which many website owners tend to overlook most of the times. And, more often than not, it’s because of overlooking these factors that numerous problems crop up in future. Why let that happen? So, what factors do you suggest are the most important when choosing an SEO company? Share your thoughts and opinions with us in the comments below; we’d love to hear from you as well. And, for credible SEO services in LA, visit us at SeoTuners, a leading SEO company in LA.